Jammin Still, a two-year-old son of Take Charge Indy, will look to build off an impressive career bow, this time in Sunday's Grade 3, $125,000 Grey Stakes, at Woodbine in Canada. 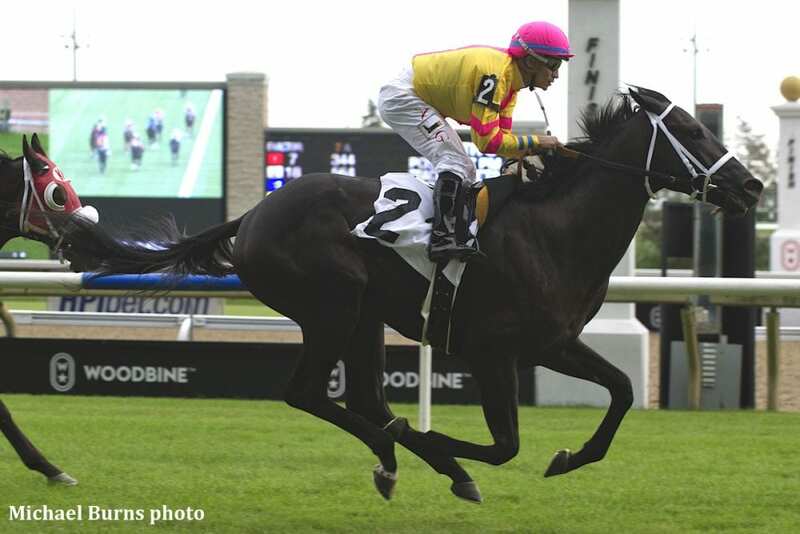 Owned by Derek Chin and trained by Kevin Attard, the Ontario-bred colt made his presence known in his first lifetime start on September 28, in a one-mile race over the Toronto oval's E.P. Taylor Turf Course. Attard was impressed, but not surprised by the strong debut, one that started off slowly, literally, but ended with a walk to the winner's circle. Bred by William Graham, the dark bay rolls into Sunday's engagement in fine fettle. On October 14, Jammin Still breezed five furlongs in 1:01 flat over the Woodbine Tapeta. “He's a pretty laid-back horse and he's got the right attitude to be a good horse,” said Attard. “He has that mental approach to be successful at a high level. I think he's going to be pretty nice and the fact he's a Canadian-bred makes it a little more exciting. “I was just happy that he ran to the way we were expecting,” offered Attard. “I told Derek prior to the race that this is his best two-year-old and I think he's going to be special. Hopefully, he'll have a nice transition from two to three. Sunday is Woodbine's second annual 'Grey Day' with the $50,000 running of the Grey Handicap following the stakes race and featuring a striking lineup of gray and roan horses. Those in attendance can enter for a chance to receive a $1,000 Win bet for the Grey Handicap by registering with guest experience representatives in the Grandstand on Sunday. The 12-race program will begin at 1 p.m. This entry was posted in Racing and tagged derek chin, grey day, Grey Stakes, jammin still, kevin attard, Take Charge Indy, woodbine by Woodbine Communications Office. Bookmark the permalink.